I then added a PathListBox from the tool box and in it’s property pane, under the Layout Paths section clicked the target icon next to ‘Select an object to use as a Layout path’, and then choose the path. 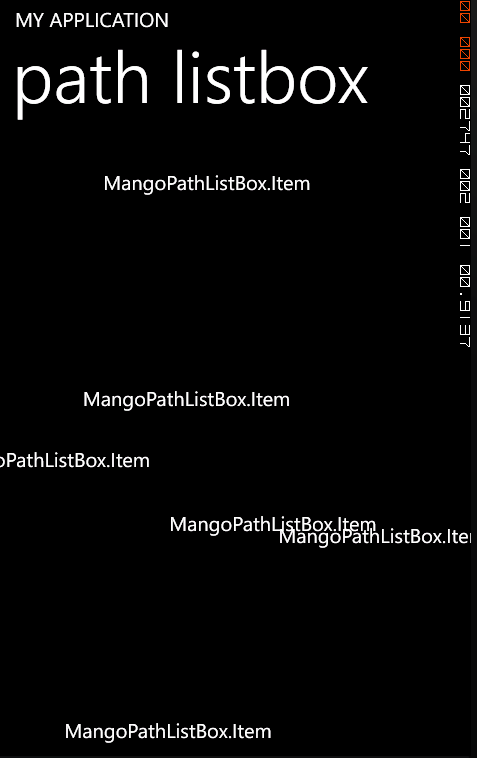 Now any items subsequently added to the PathListBox will be positioned on this path. which gave some data to bind the view to. So, we need to tell the ListBox how to display each data item. We can do this in Blend by editing the PayjListBox’s ItemTemplate. I just added a TextBlock bound to the Name property of the Item class. 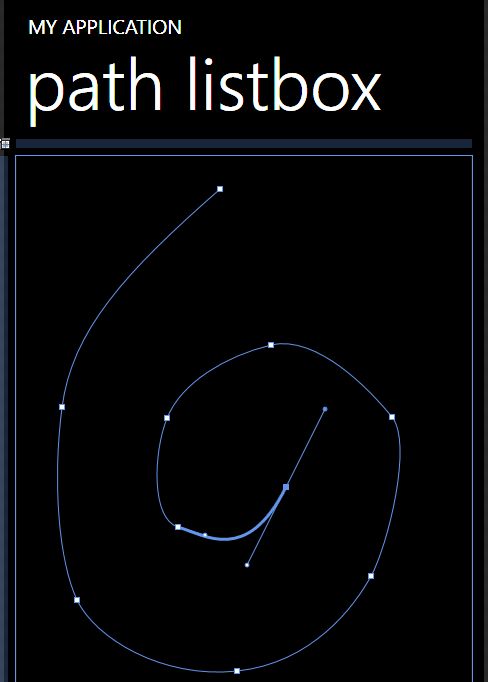 Edit the PathListBox’s ItemPanel template in Blend and drag n drop a FluidMoveBehavior (from the Assets Pane) onto the PathPanel. 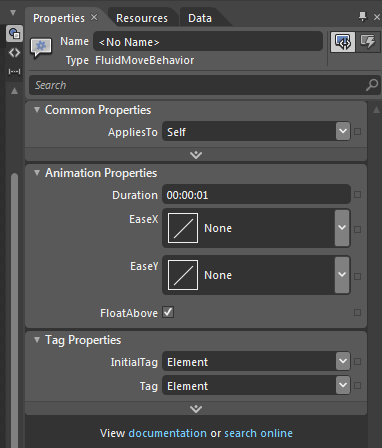 You can select the FluidMoveBehavior and edit some of it’s properties to control the nature of the transitions it will produce. You must set the ‘Applies To’ property to ‘Children’ so that the transitions are applied to the children of the layout panel. 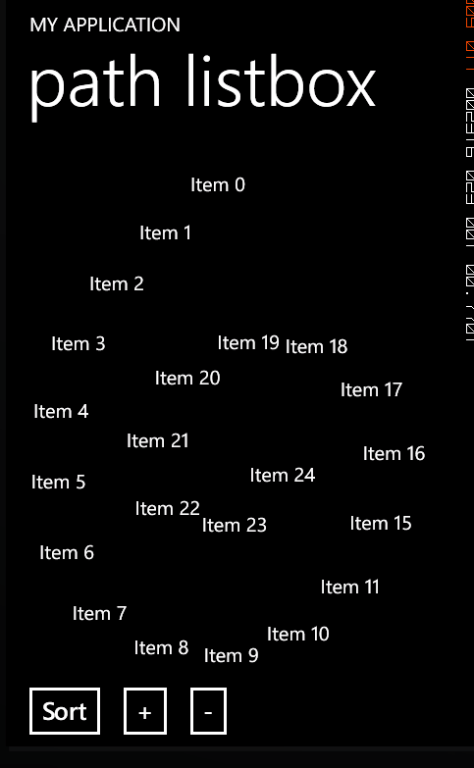 In order to see the animations I added some buttons for sorting the list and adding and removing items from the list. I made use of the new Commanding support and added ICommand implementing properties on my ViewModel which I bound to the buttons. Where ProxyCmd is just a class which implements ICommand by calling a delegate that you pass it. 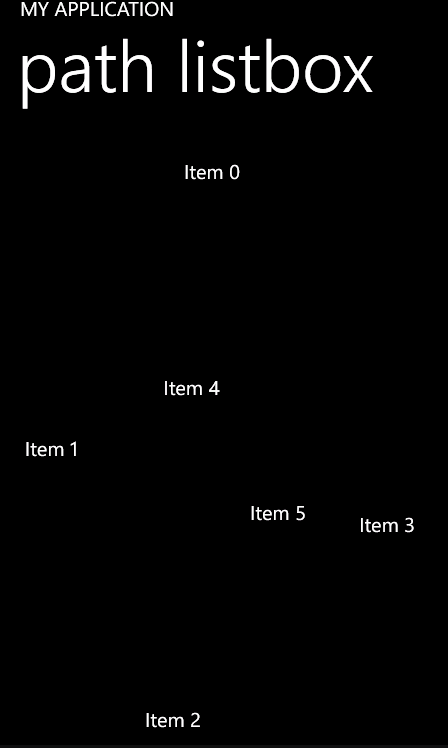 Also, the sorting was implemented using CollectionViewSource. The result is a a pleasing, dynamic, fully functioning ListBox. hyperlinks do not work. Can you check?